I Do, Do I? Marriage Registration in India. You are at:Home»Lex Pedia»Lex Articles»I Do, Do I? Marriage is a very important institution of our society. The evolution of this institution was slow and steady. In the beginning, paternity was unknown because of promiscuity in the society. This led to unknown parentage and restricted the right of the father to transfer his property to his own blood. With the view of determining paternity, marriage came into existence. Hence came concepts like polygamy, polyandry, monogamy and so on. As this institution has evolved, in this current time, there have been some unwelcome changes in the society. These changes have impacted the holy institute of matrimony. Live in relationships are pretty common these days. One major negative aspect of such a relationship is that the parties to such an arrangement do not have any legal rights. 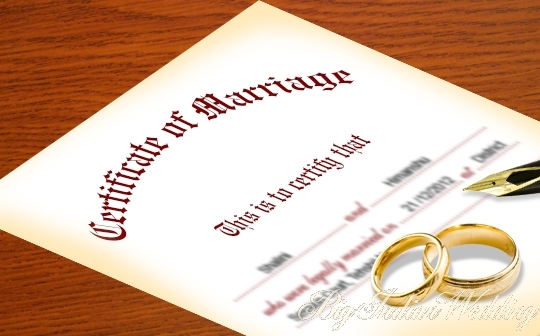 Marriages can be registered according to the Hindu Marriage Act and Special Marriage Act. Registration of marriages is actually quite simple! No fees is required for registration but, Rs. 5 is to be paid for the application. Fee for certified copy is Rs. 10. Some registrars want to look at your wedding invitation, so do not forget to bring that along with you as well! Expect to hear back from the authorities within 15 days of submitting your application for marriage conducted under the Hindu Marriage Act. Expect a reply from the authorities within a period of 60 days. Good news for you eloping couple is that eloping is NOT illegal. Make sure the both of you are of legal age and do get your marriage registered in accordance with Hindu Marriage Act or Special Marriage Act, whichever you get married under. When the marriage is valid, the law and the police will help you. Tough pressure from the family and community causes a lot of problems but, if your marriage is valid and all requirements have been fulfilled, it would help in smoothing out the situation over a period of time. Please remember, just because your marriage is valid in the eyes of the law does not mean that you have your family’s blessings. My recommendation would be to keep the option of eloping a last resort. The process for registration of marriages has been mentioned above.